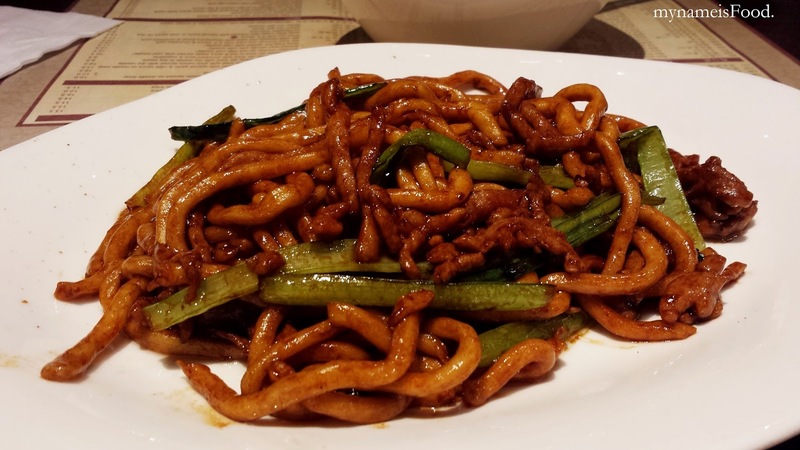 A short re-visit to New Shanghai in Queens Plaza which ended up having them giving us the wrong recommendations. I remember my last two visits here was good and bad, so another visit which was quite dissapointing. When we came, it was about late arvo and the seats and tables weren't quite as packed as when it is lunch time, but it was a moderate amount of diners at the time. 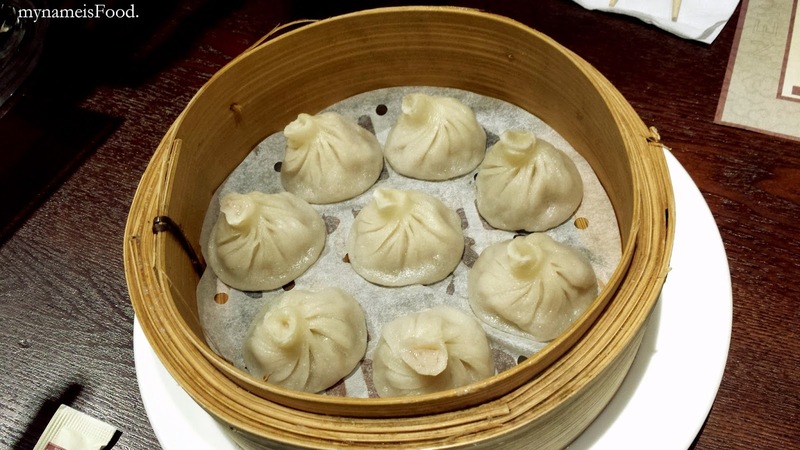 At first we ordered ourselves the 'New Shanghai Xiao Long Bao' ($7.5 for 8 pieces) which were steamed mini pork buns. Steamed mini pork buns are popular for their minced pork and especially the soup which lies inside each of the mini buns. Second dish we wanted to order was fried noodles, however we couldn't seem to find it on the menu other than Shanghai noodle, cold noodles and noodle soups. So, we tried to get the waiter's attention which was quite hard since they seem to just mingle around a specific area but when we finally got one of the waiter's attention, we asked for a stir fried noodle for recommendation. He recommended 'Dried Shrimp & Shallot stirred with dry noodle in soy sauce' ($9.5), and when the dish came out, we were quite, no, actually, really shocked with both the outlook and portion of the dish. The amount of dried shrimp and shallots was horrendous, it was so teeny that you could not definitely fill your tummy with it nor would you even call it a Dried Shrimp & Shallots with dry noodle as it seems as if it was just Dry noodle with a spoon of dried shrimp and shallots, with soy sauce. I don't think that when you mix the noodle with the meat and soy sauce, it would even be enough for the whole dish. We complained to a different waiter this time and they apologized and decided to replace our dish. We got told that the only fried noodle available was the 'Shanghai noodle stir fried with shredded pork and vegetable' ($9.5). 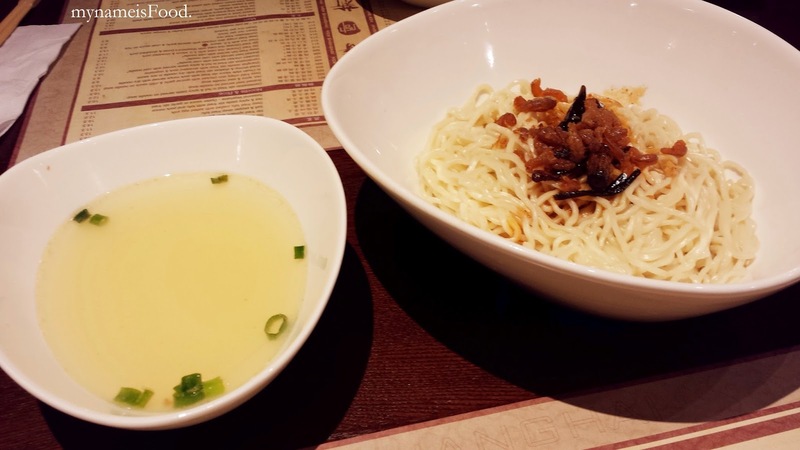 The shanghai noodle was still the same as ever, just as the last time I came, it was filled with flavour but I think that they have added extra meat and vegetables than before. The vegetables were just basically either kai lan or another chinese vegetable. I might recommend this restaurant for simple dumplings or buns, but maybe not so much for their main dishes. Or maybe just the main dishes that I have ordered weren't their Chef's suggestions or their specialties..